Mosquito is a classic, science fiction movie. 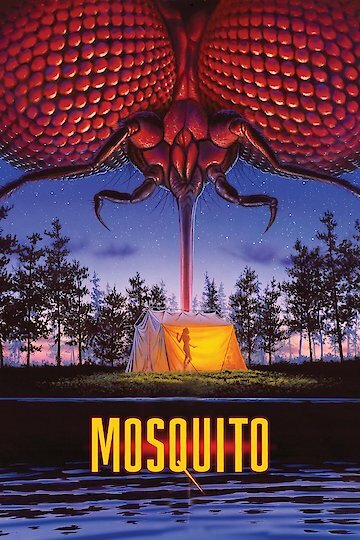 After an alien spaceship lands in a swamp and dumps out trash, the resident mosquitoes grow to a larger-than-life size. Then, they attack. These insects torment any two-legged animal they encounter. Yes, no human is safe. They must battle against super-sized predators. The ensuing struggle is rough. Will man survive or be overtaken by two-winged mutants? This question is one viewers of this flick bounce back and forth in their brains until the last scene. Mosquito is currently available to watch and stream, buy on demand at Amazon, iTunes online.